Don't miss out! WatchUseek Grande Finale 2009! WatchUseek, considered to be the No.1 interactive watch portal, is having a Grande Finale 2009 event! This means that WatchUseek, in combination with its sponsors, will celebrate the end of 2009 and the start of 2010 by giving away a number of watches to registered members of WatchUseek that enroll for the contest! The instructions are quite simple! Ernie Romers, director of WatchUSeek, wrote a small FAQ for all attendees. Simple, enter the competition as soon as it is published in here. What else should I know about this Grande Finale? The Grande Finale 2009 is for WatchUseek’s members, moderators and sponsors only. Not yet a member? Register here! What does WatchUseek need from me? 2. the right answers to the questions. 3. your full name, address and phone number, once you are one of the winners. 4. a post about the won watch on WatchUseek after you’ve received it. When will the Grande Finale 2009 be held and what about the prizes? From December 1 through December 31, 2009. The winners will then be announced in the 1st week of January. For example, one of the watches that you can win is the Anonimo Wayfarer II. 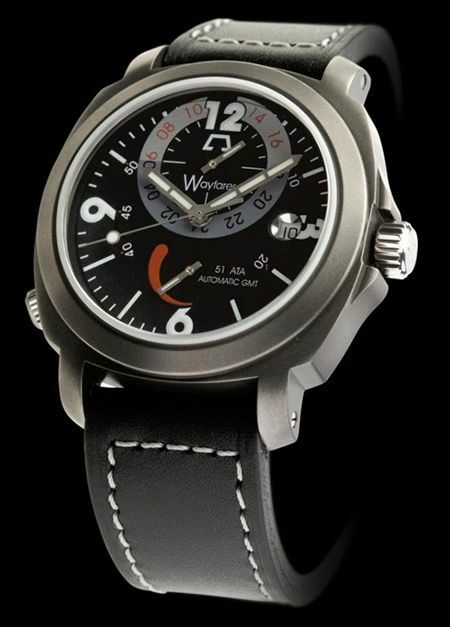 This 42mm watch with GMT-functionality is pictured below and exact specifications can be found by clicking here.